For Commercial Cooling Services, Call Murphy & Miller at 1-312-427-8900! Today’s data centers work harder than ever. Whether you run a small server closet or a robust data center, it’s vital to keep your electronic equipment cool because overheating can cause crashing and hardware damage. Here’s a look at some of the latest technology in data center cooling that might interest you. 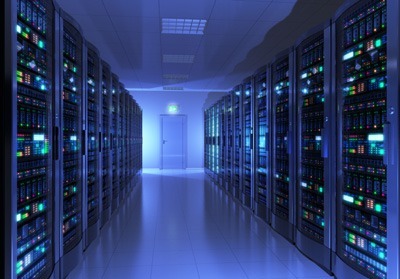 Contact Murphy & Miller to schedule data center cooling in the Chicago area today! Traditional air conditioning moves heat from inside a data center and exhausts it to the exterior, leaving a cooler temperature behind. However, a geothermal heat pump takes advantage of the earth’s properties that make it act like a giant heat sink. Instead of using a heat exchanger to cool a data center with ambient air—the temperature of which fluctuates wildly in Chicago—geothermal systems tap into naturally stable subterranean conditions to cool a data center at a much lower cost. Liquid cooling does away with traditional air conditioners and fans. Instead, it uses water chillers and distribution units to cycle cold water through tubes from cooling tanks to the servers and back again. The concept of cooling electronics with liquid actually dates back to the 1970s when conditioned air wasn’t efficient enough to keep massive mainframe computers from overheating. This technology dwindled for a time, but it’s surging back into the mainstream as data center densities increase. This futuristic cooling method takes liquid cooling one step further by totally submerging computer systems in a cold liquid. The problem is that conventional liquid cooling mediums are either conductive or caustic, two characteristics that are detrimental to electronics. However, it appears that mineral oil could be the non-conductive, non-corrosive liquid computer designers are looking for. So far, mineral oil has only been used as a protection against short-term loss of cooling power, but it could become a more primary means of data center cooling in the future. On the low-tech side of things, the simple concept of using natural air and water is another way to cool a data center. As acceptable operating temperatures increase, the days of needing to wear a jacket in a chilly data center are over. This means in mild climates, “free cooling” is often all a server needs to prevent overheating. Whether you use one or a combination of these above methods, it’s vital to stay informed about temperature and humidity levels in your data center. That’s where online monitoring from Murphy & Miller comes in. Our solution allows you to check the environmental status from anywhere inside or outside your network based on your security needs. To schedule industrial air conditioning or cooling services for your data center, call Murphy & Miller at 1-312-427-8900! We always stay up-to-date with the latest industry innovations to keep up with our forward-thinking customers. If you implement data center cooling techniques, look to Murphy & Miller any time you need equipment repaired, maintained, monitored, or replaced. Our history servicing commercial HVAC equipment dates back over 80 years. To learn more, or to schedule services for your data center cooling equipment, please contact us today!